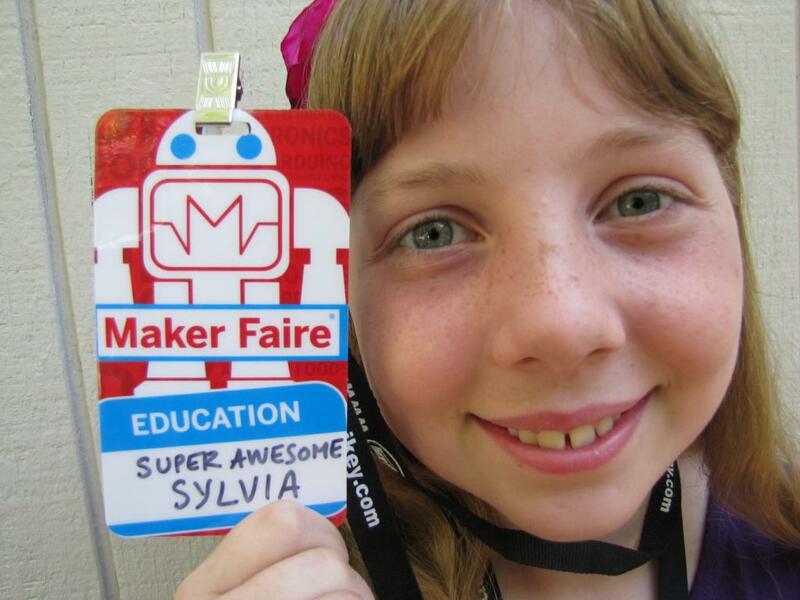 San Mateo | Sylvia's Super-Awesome Maker Show! I'm not dead! Just busy. Also: MAKER FAIRE! HI GUYS!!! So, How have you been doing? Good, good. Oh really? Awesome! Well, I have been doing pretty well, but I’ve been hecka busy. Sorry even though I keep promising new episodes it just doesn’t happen. School has been torture, I started Karate, and Girl Scouts has been fun but selling cookies is a chore, and I’ve also been working on secret projects (hee hee hee) and traveling the world for STEM and showing the WaterColorBot. It’s been crazy. Everything is crazy. You’re crazy. I’m crazy! No, just kidding... let’s get on with the blog post! 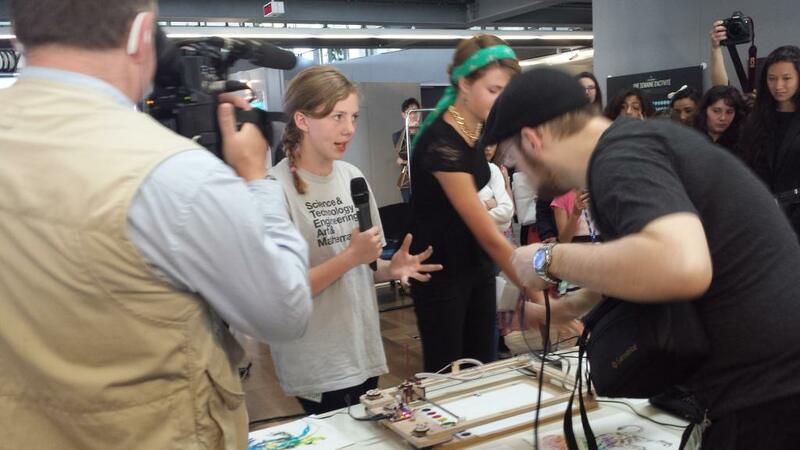 GUESS WHAT: January 2014 was the first WaterColorBot anniversary! 1 full year of awesome progress and watercolor painting awesomeness. Yay! I wanted to make a birthday cake for it to paint.. but then got busy again. Geeez! February and March were boring catching up with school and stuff, but also some planning for April! 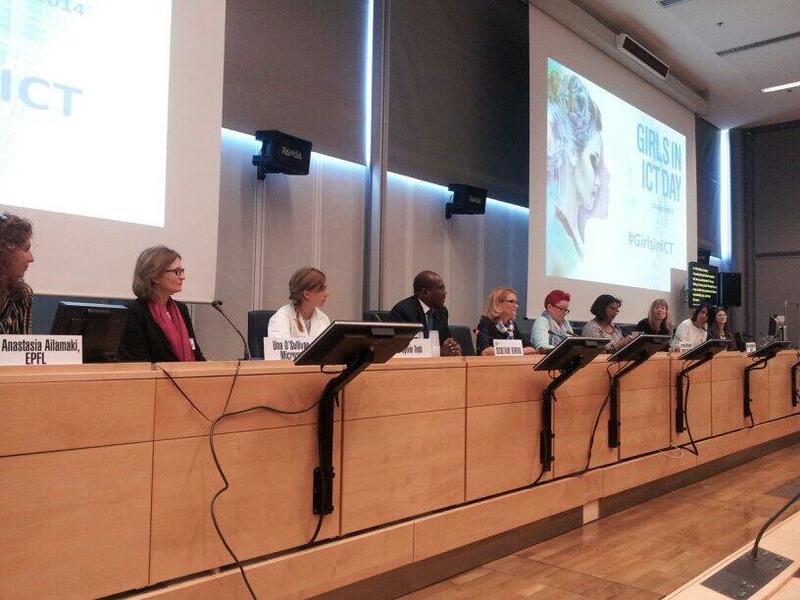 I was invited to go to Geneva, Switzerland to talk at the UN for International Girls in ICT day! The UN peoplez!! It was so cool, and I got to talk about ICT (Information and Communications Technology) and STEM and why I think it’s really awesome for girls to get into it and work it. Also talk had fun and made and made an awesome mobile app and showed off the WaterColorBot (which everyone really liked)! I’ll have to do a full post on that one day soon. Here's a quick video they shot to give you an idea of what it was like. Try and build more stuff and explore new fun ways to make the shows. Aluminum casting my own sword with lost PLA casting from 3D printed thing! Begged parents for Ukulele, earned money from WaterColorBot, got it, learning right now! YAY! But before all that... Come see us at Maker Faire! EDIT: Oh! Almost forgot, my latest fun project with my dad and @MakerBlock is MakerBingo! Print your own bingo card for Maker Faires everywhere! Share it with your friends, give em to family! Go out and have fun!! Read more about I'm not dead! Just busy. Also: MAKER FAIRE! The first and best Maker Faire is coming around again this year, and for our 5th year, we'll be there! Unfortunately, because of a badly timed whole house move of our family of 6, the projects and demos we had planned on bringing have been completely disrupted and left in a state of half-packed and half-done. Not to worry though! 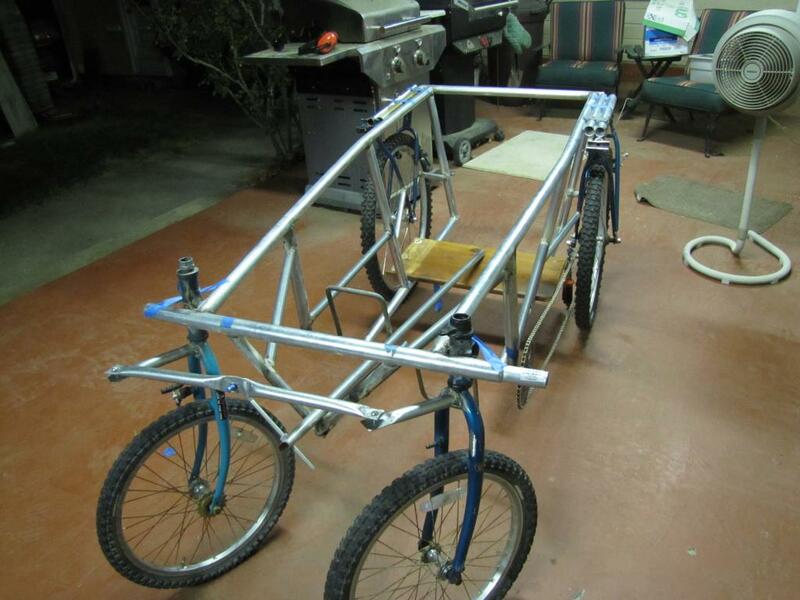 We'll be there for the entire event and hopefully be out and about for Maker Faire fishbowl interviews and possibly a makeshift demo, and we'll be rooting for our very own Pedalcar! Family friend "TheD" brought his welding skills and we created our very first real steel construction. It's far from perfect, but with a little work and not very much money, we were able to make something rideable.